Welcome to the Social Science Department. Social Science comprises a variety of academic disciplines concerned with society and the relationship among individuals within a society. This department provides students with a strong liberal arts education that enables students to succeed in both academic and career pathways. Our amazing associate degree programs, certificate programs and multidisciplinary courses prepare students to pursue their bachelor’s degrees and also careers in many fields. 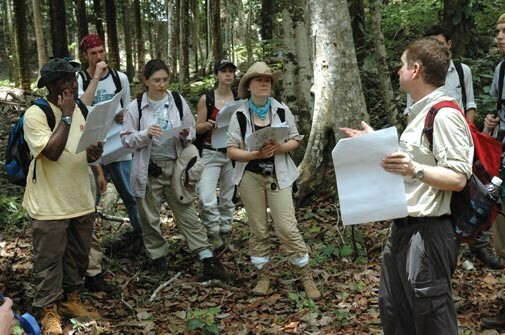 We offer opportunities for students to learn from experienced faculty, to conduct research, to gain practical skills related to their areas of study, and to perform fieldwork related to their interests. A major goal of the Social Science Department is to help our students understand the larger social, political, legal and environmental contexts that shape human interaction. Our dedicated faculty are committed to teaching, advising and mentoring students, and are equally dedicated to supporting them in their long term academic and career goals. For an appointment with Richard Davison, please call 267-549-6012. Monday, 10:00 a.m. - 1:00 p.m.
Wednesday, 11:00 a.m. - 1:00 p.m.
Friday, 10:00 - 11:00 a.m.
Monday, 9:15 a.m. - 12:15 p.m.
Tuesday & Thursday, 9:15 - 11:15 a.m. Learn more about our transfer agreements with different schools. I dropped out of school in the beginning of ninth grade. Years later I earned my GED but was never able to get a decent paying job. I wanted a career but lacked the skills, education, and most importantly, confidence. That's when I decided to come to CCP. I majored in Paralegal Studies and have just earned my associate degree. 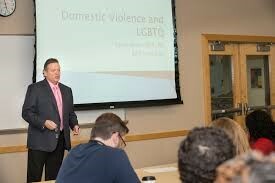 My time at CCP has given me the tools necessary to begin a career in the legal field and build confidence in myself. Thanks to all the amazing professors at CCP who encouraged me to follow my dreams. CCP has allowed me the opportunity to get the credits I need for my bachelor's degree in criminal justice. The professors I had are amazing. They make sure all students are on the same page. I also love that CCP offers free tutoring to all students. This makes me more confident that I can take any class and will learn the material. Community College had been such a big stepping stone and help through classes and programs here. The professors are encouraging and helpful throughout this process. I’m glad I came and I’m an “A” student due to CCP’s great teachers and staff.